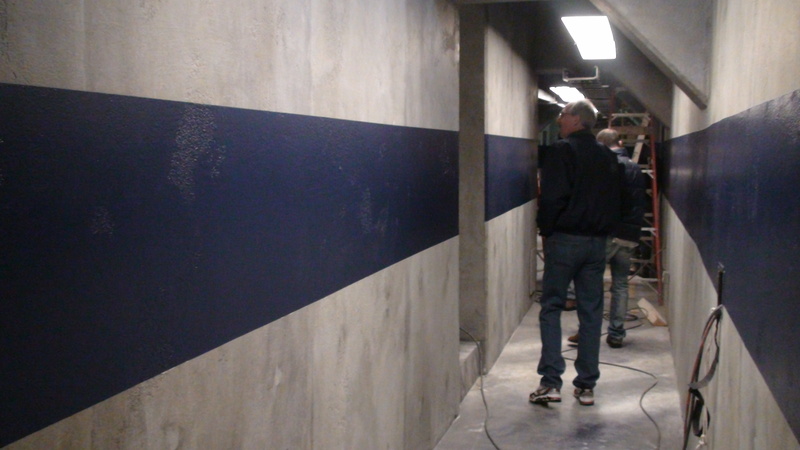 Follow Carl down the new-look corridor on Stage 5. Hang a left, up the stairs, and you’re in the control room. The stripped-down gate room. The former SGC gate becomes the gate on Icarus Base. Back in early February, Carl and I wandered down to Stage 5 to check out the work in progress. After 11+ years as Stargate Command – gate room, control room, briefing room, and General’s office – it was finally undergoing a complete transformation. The control room and gate room, once separated by fictional wall, glass, and sliding blast doors, was now an open expanse, a metal walkway running from the nerve center directly through the gate. 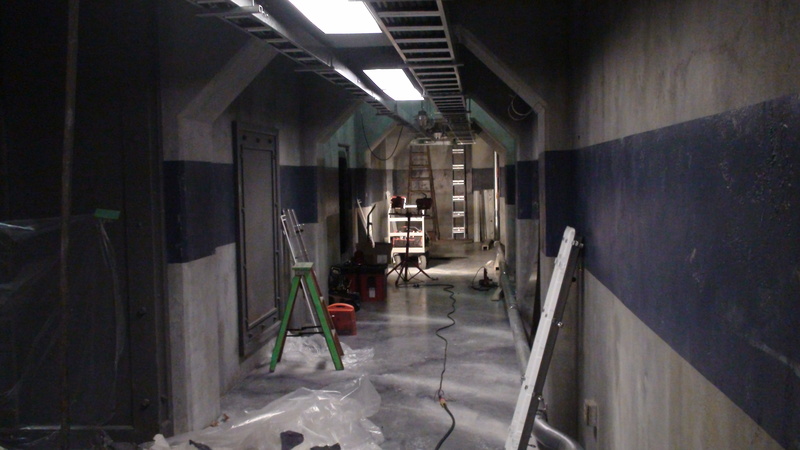 The surrounding corridors and control room had been given a new paint treatment, with touches of protruding rock suggestive of a rough and recent off-world construction. The upstairs briefing room had been emptied of its SGC trappings. Gone was that old table that served us well for countless years, chipped and scratched in so many places that directors were forced to choose their camera angles judiciously. The vast window that once looked down on the gate had been walled up. In a few short days, it would be a dining area. And, a month after that, the headquarters of Homeworld Command. 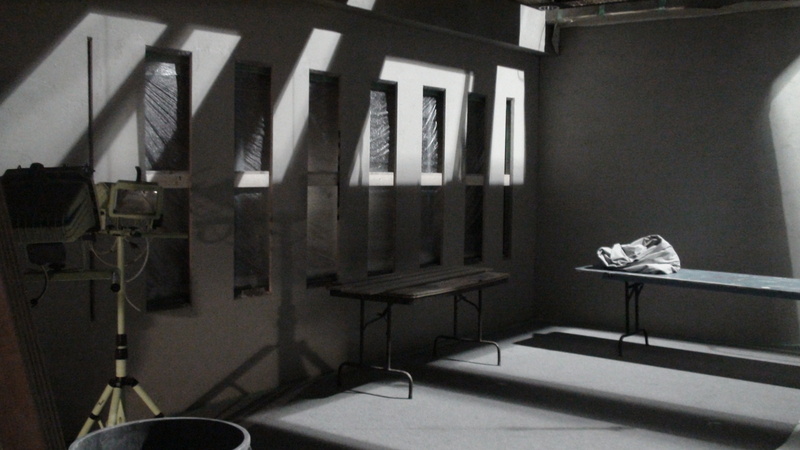 The old briefing room – under construction. The bay window view down to the gate room is re-imagined. I was admittedly wistful. After all, I’d written for those standing sets for seven great years and, suddenly, they were gone. 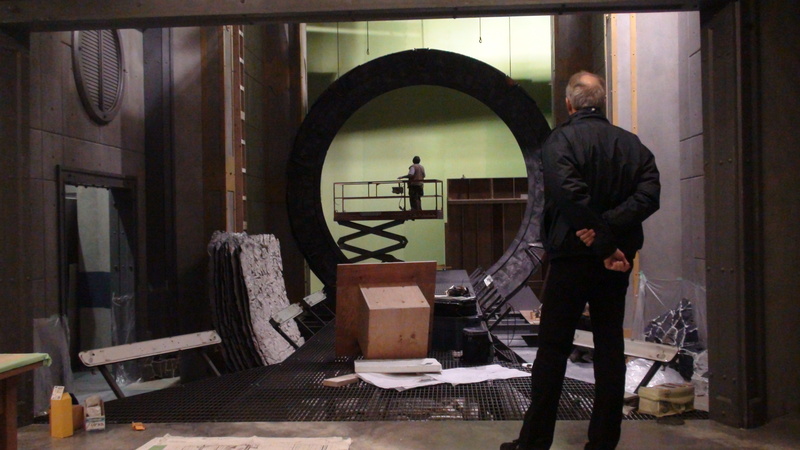 But eventually, as the new sets took shape, that initial melancholy gave way to excitement at the prospect of the upcoming Stargate: Universe series and the third SG-1 movie. Over the course of the next few weeks, the sets were finished and, as impressive as they were on those casual strolls, they were ten times more impressive once properly lit and engaged. And then ten times more impressive than that when we first saw them in dailies. Shaping up nicely under Carl’s watchful eye. Previous Article May 2, 2009: One of Those Days. And, The Comic Round-Up. Thanks for the set pictures! I’ll look forward to seeing the set(s) in their new incarnation(s). Thank you (and MGM/Syfy) for sharing these photos with us. Thanks for the photos. But i feel a sense of loss! Like i have lost the sets of my most favorite show! Keep it together daniel, you’re at tafe! Ha ha. I am looking forward to see it being used! 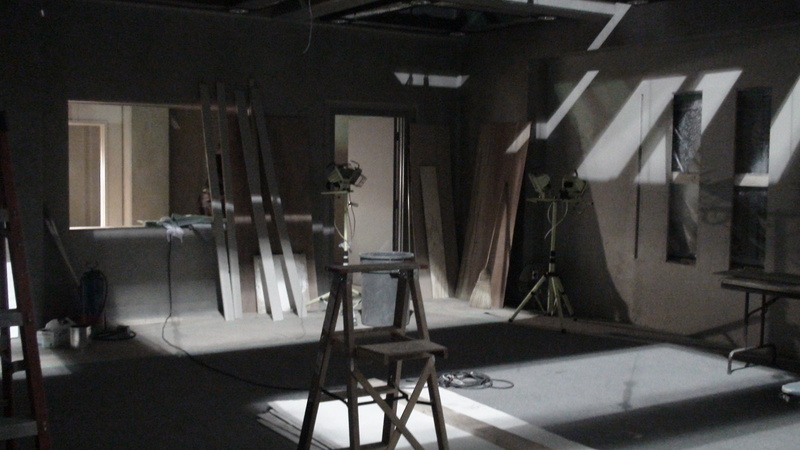 In addition to feeling sad, i also feel priviliged to know we get to see the sets, way before it airs! Thanks joe! I don’t there has been anyone as dedicated as yourself in keeping the crazy fans updated. Cool! Thanks for the pictures! Can’t wait to see everything in action! It shows the Loss of a Beloved Show and the rebirth of another…very moving…. Wonderful pictures. Hard to imagine the SGC no longer being there. But living in a history-laden area(ok, historic by New World, not Old World standards) I’m used to seeing places torn down to make room for new, and often better things. My only regret is that when and if they open the new sets for tours I won’t be able to attend. Thanks for keeping us informed and providing us with tidbits to keep our sanity till we can get a full dose of Stargate. It’s oh so hard to let go. Wahoo! Very Cool! Thanks for sharing! You Rock!!! Wow, just like in South Park! Thanks joe for the pics. Oh I guess I was supposed to play. 2. Jee, that’s hard. Probably a 4 way tie between BASMR, Midway, vegas, and eatg. 3. I love cats. I have 2 blacks. 4. Some random excuse for a salad I once made. Ok my gosh I meant two black cats. I got distracted and forgot to proffread. Wow that sounded rasist. Sorry. I am truly not a rasist. Just a typo. Thanks heaps for the pics! But I was wondering, when they make the next SG-1 movie, what will they use for the gateroom? Lalalalalalalalalalala. Not looking. Not looking. Not looking. Sorry Joe. Wanting to watch Universe through new eyes. Figuratively, not literally. Although this set could do with a backup pair. Joe that is just enough to get my imagination going and to feed an ever increasing desire for a new episode of Stargate. Thank you. If it turns out that y’all like the new “documentary” style of shooting SGU, will you want to use it perhaps for either the SG1 or SGA movie? Or would that mess with the feel of the individual shows too much? At least you can understand why these pictures make people like me feel like crying Joe. 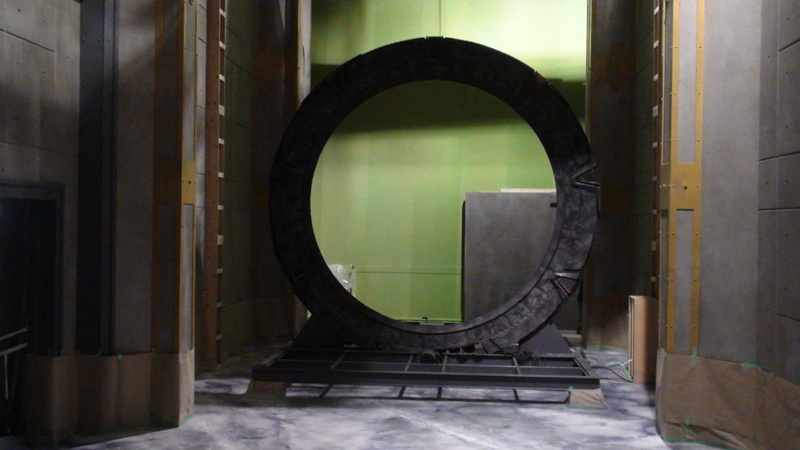 I kinda feel like the real, true, classic Stargate has been torn down. Don’t get me wrong, I’m looking forward to seeing what SGU is like, but a lot of the fans are being harsh to those of us that feel a bit wronged because the SGC has been torn down. How are you gonna film the new SG-1 movie without the SGC? It’s kinda like the death of an old friend. @ Major D – You’re too funny sometimes! No worries, I don’t think anyone though ill of you. Joe, hope the pups are well and that you and Fondy have a good night. Thanks for the pics. Of course, I’d prefer pictures from the set of the Atlantis movie, but I will try to be patient. Yeah, that was supposed to be ‘thought’. I really need to go to bed. I really need to read my comment before posting! My above should say “i don’t think there has been anyone as dedicated”… That’s a good point about the movie. What will they do for the sgc? I can’t imagine the cost involved in building a set, only to have it destroyed, as someone said above. Also good to know i’m not the only one that has a sense of loss! Ok, proof read. Submit! These pictures are great. The whole base seems to be fresh and new. It was bittersweet seeing the new gateroom on the set tour last month. But everyone was quick to reassure us that all the parts are still available to pull out for the movies when needed. But it did feel like the real end of an era.